We've started the week like the way we finished off the last one, busy! Percy has continued on with the wall building as you can see below. This should be all built by Friday and newly set for next Monday. While Percy has building, Sam and Lu have been doing a bit of a late (or early?) Spring clean in the shop. A bit of paint and a little bit of fixing and we should have it all up and running again in the Morning. Also occurring today was a bit of setting by mini-cheese Michelle and Dave Mason. 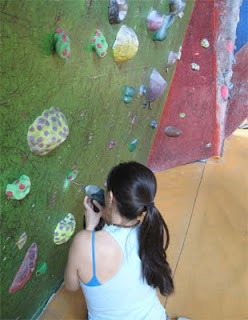 This is for the Young Climbers Festival on Thursday so if you're bringing your little ones down beforehand, No Cheating! For everyone else please leave these problems alone as we want them fresh for the kids on Thursday. 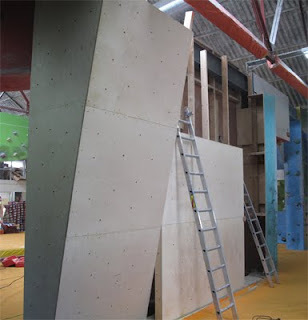 More info on the Young Climbers Festival (there are a few places left if you're quick) on the website. On Sunday we heard the incredibly sad news that Chloe Graftiaux had fallen while descending from the L'aiguille Noire de Peuterey in the Italian Alps. We knew Chloe from her first visit to Sheffield when she won The Climbing Works International Festival. She returned again in July for the Bouldering World Cup at Cliffhanger, winning again on British soil. 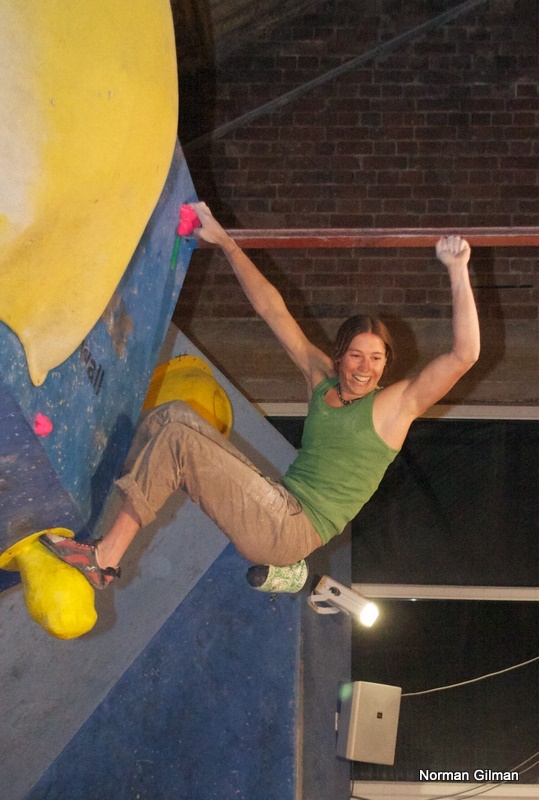 A quiet, modest person, Chloe will be sadly missed by all within The Climbing Works. Chloe winning The 2010 CWIF on the final problem.